I have never been as disgusted as I am with the current African leadership. As I stunningly watch Mali descend into chaos, after Cote d’Ivoire, Libya, Sudan, and so on… I wonder what kind of people are heading our countries. It doesn’t take a genius to see that we are being cheated, abused, and killed by imperialism and those hungry and bankrupt capitalists. As I pondered on all that, I read this great speech by cde Kwanisai Mafa of Zimbabwe delivered in commemoration of the Sharpeville massacre in South Africa this year on March 21st 2012. For the integral speeck, check it out on Mathaba. 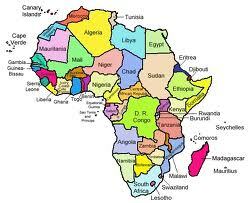 Land ownership and control of mineral wealth are at the heart of Africa’s struggle for self determination. Land ownership and control of mineral wealth aptly justify the theme of today’s engagement. LAND IS AN ECONOMIC POWER …. Nowhere is Pan Africans being severely tested in Africa than in Zimbabwe. The current tidal wave of global pessimism and sanction against the people of Zimbabwe has made life excruciatingly challenging for the common folk. 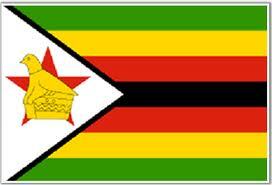 The government of Zimbabwe sought to unlock the value of its people in an exercise dubbed the Third Chimurenga. Resistance to this exercise has been fierce as both former colonial settlers (who happen to be white) and their sympathizers sought to discredit it as, illegal and not consistent with human rights. Ironically, where were these human rights watchdogs when our forefathers were butchered and dispossessed of their land. Where are these human rights watchdogs when Israel is daily making the lives of Palestinian a living hell? Where were they when NATO attacked a sovereign nation like Libya violating international law? …. Comrades and friends , the levels of mediocrity in African leadership has risen to sanctity. The revolution is now eating its own children. Surely this cannot continue unabated, battle lines must be drawn, be drawn clearly and conspicuously. Our African leaders are sacrificing our continent and our founding values and aspirations on the altar of narrow, parochial, self serving, personal and selfish interests. 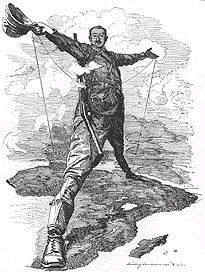 Stooges and imperialist lapdogs in form of opposition parties and democracy are being bankrolled by western intelligence organizations to extinguish, purge and obliterate all liberation movements and replace them with their puppets that are prepared to surrender our God given Africa to global imperialism for thirty pieces of silver. Our African leaders have become our contemporary Judas Iscariot. Colonel Muammar Gaddafi who gave sanctuary and military assistance to African liberation movements especially to South Africa was sold out by those whom he supported. Who is Judas Iscariot? I don’t need your answer now South Africans? To read the full article, check out Sharpeville Commemoration Day, a Call for a United Africa. Ca fait mal au coeur, la lachete et l’insouciance de nos dirigeants. Que dirat-on a nos enfants ? Merci pour ce post.